The company sells and develops India's precise reach of business software. 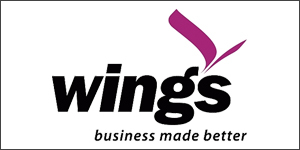 This includes Wings Enterprise, completely web-enabled ERP software; Wings Accounting - award-winning accounting software; Wings Trade - software for distributors and traders; Wings F&B - software for restaurants and pubs; Wings Retail-PoS and accounting software for retail businesses. We have a strong base of installations and corporate clients in India. Salary pay: Compensation will provide by candidate's qualification and their experience. Key skills requirement: Sales Executive, Direct Sales, Customer Relationships. Candidates with 1-3 years experience, preferably in software sales, will be given priority. Commerce background with good communication skills. Candidates only from Mumbai may apply. Post Graduation: MBA or PGDM in any specialization. You can directly send your CV or Resume to Mumbai@wingsinfo.net to apply for Sales Executive Job.